NEW!! 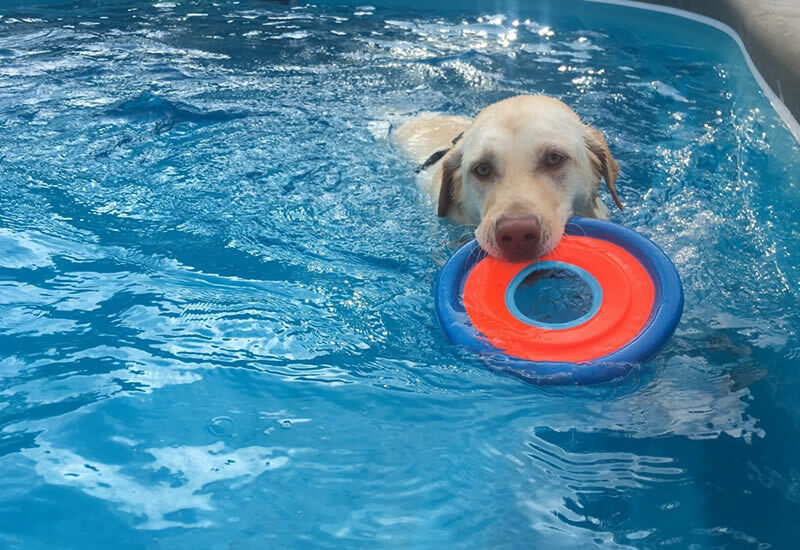 Full-Size Inground Swimming Pool Let your dog swim! 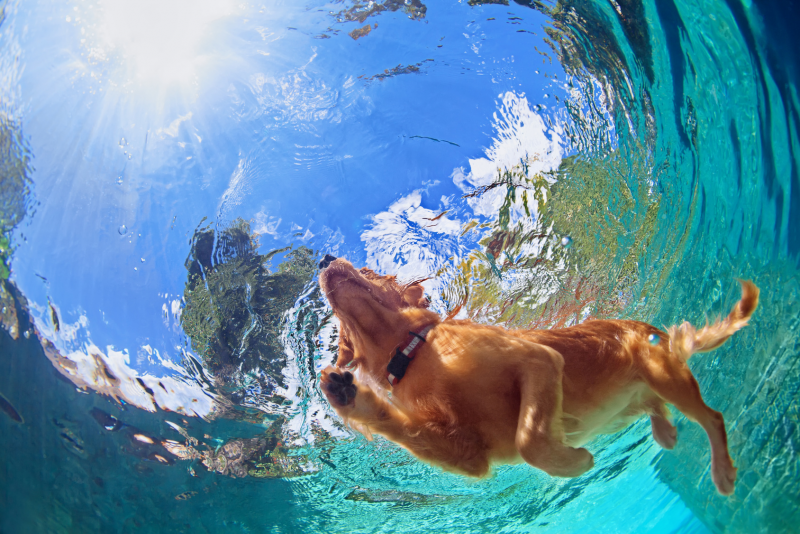 Bone Voyage Pet Resort is happy to announce the Grand Opening of Island Swim Club! Swimming encourages the use of the whole body in a way that makes exercise fun and beneficial! Just 5 minutes of swimming is equal to a 20-minute walk! 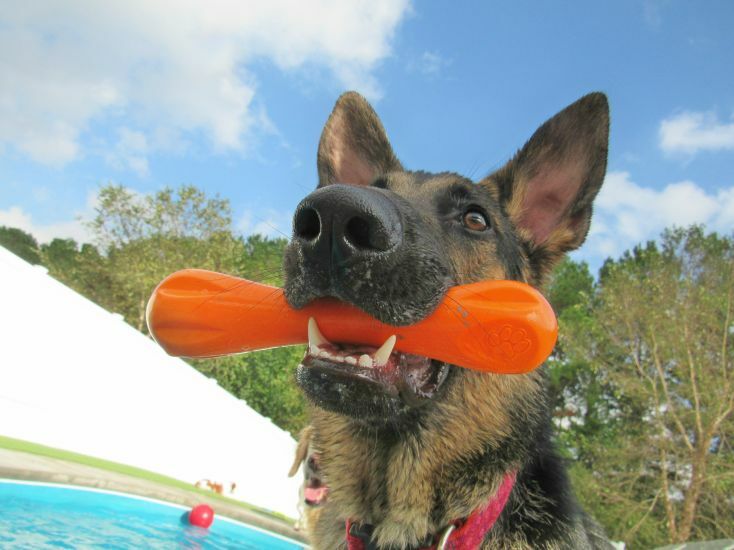 It's great for overall conditioning and cardiovascular fitness in healthy dogs. 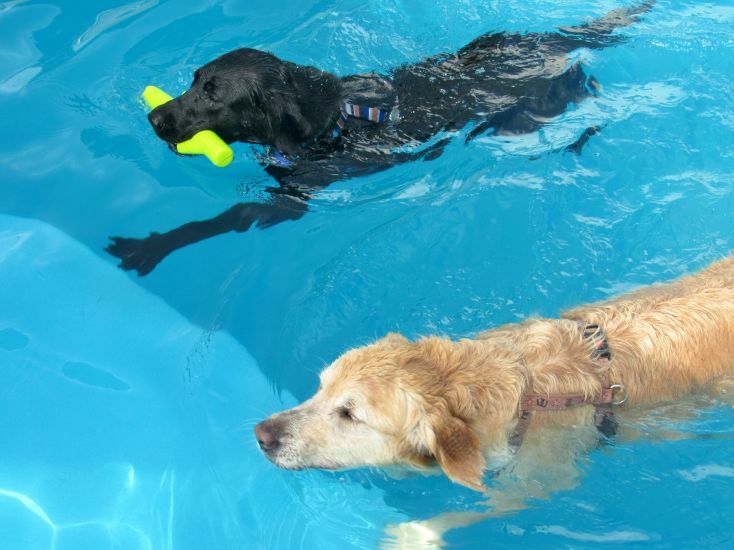 For dogs with joint pain or injury, swimming can ease aching muscles and improve flexibility. 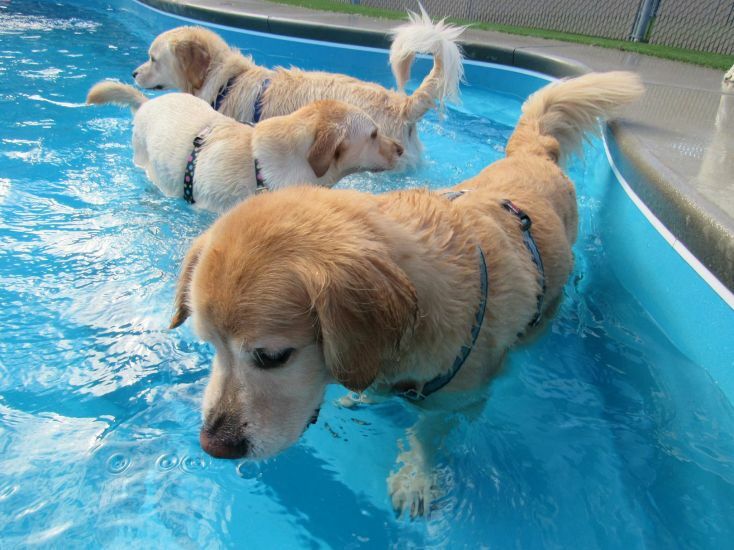 For older dogs, it can minimize the risks of weight bearing injuries and help control weight gain due to inactivity. 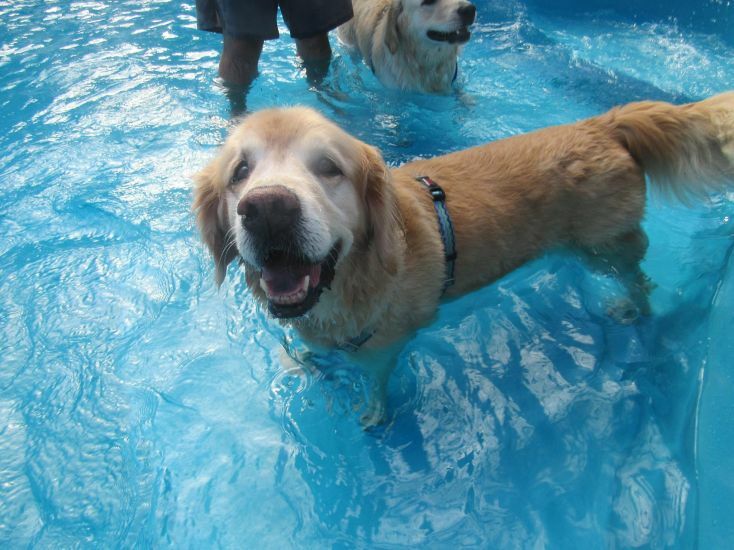 Your dog will love to join the Island Swim Club splashing the day away! For real water-lovers, look below to see available Group and Private swim discount packages. *No more than 2 dogs per person in same session. Maximum of 2 adults and 4 dogs in a session. You can customize your own time in the pool in addition to times listed above. One time $20 evaluation fee. Second dog in same family is $10. 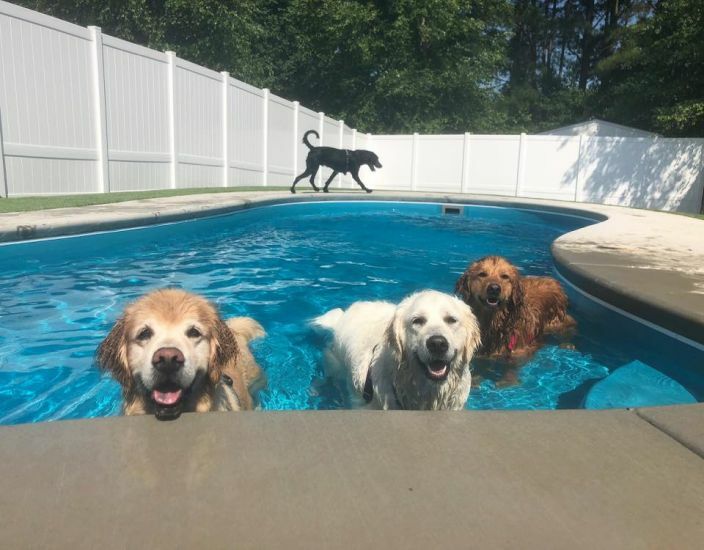 Is the Pool monitored at all times? 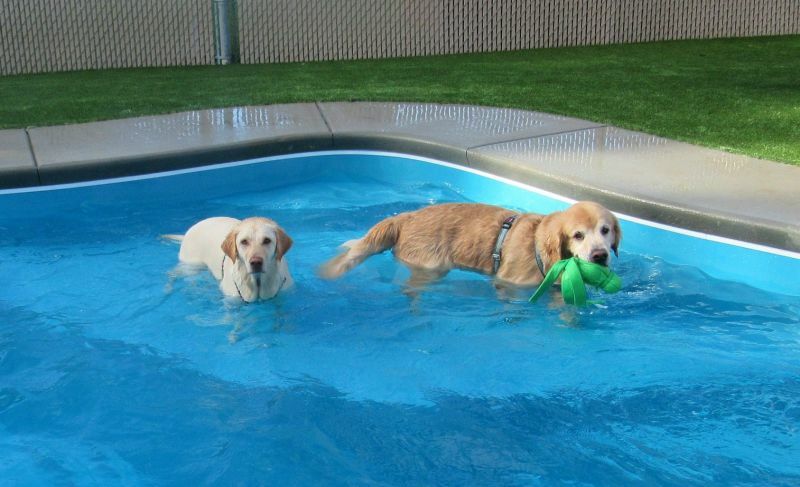 : During group daycare, the pool area is constantly monitored while dogs are playing and swimming. 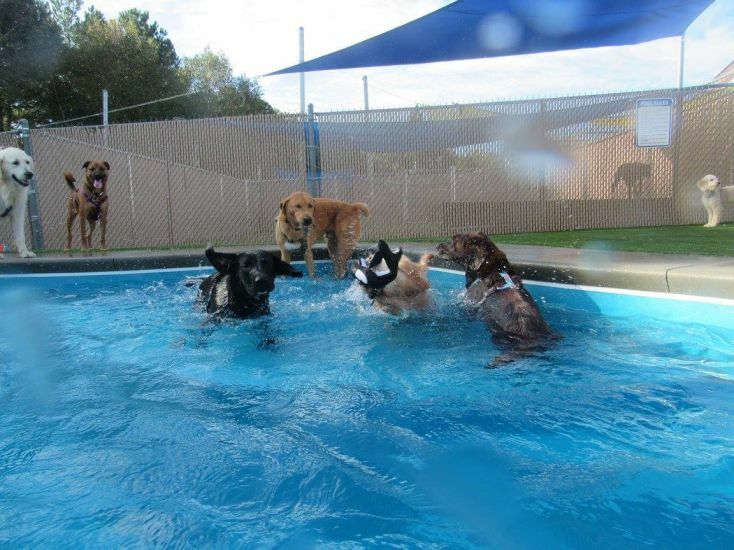 Dogs are never left unattended during Daycare or Swimming! 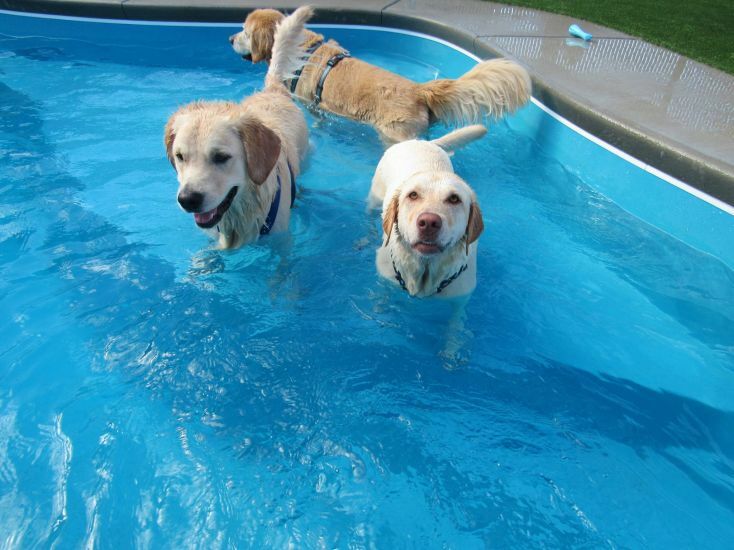 During Private Swim sessions, the owner is responsible for supervising their dog(s). Are there any other fees? : There is a one-time $20 evaluation fee for Island Swim Club Daycare or Private session members. If Daycare Evaluation and Swim Evaluation are done on the same day, we only charge one evaluation fee of $20. Is there a Lifeguard on duty for Private Swim sessions? : No. 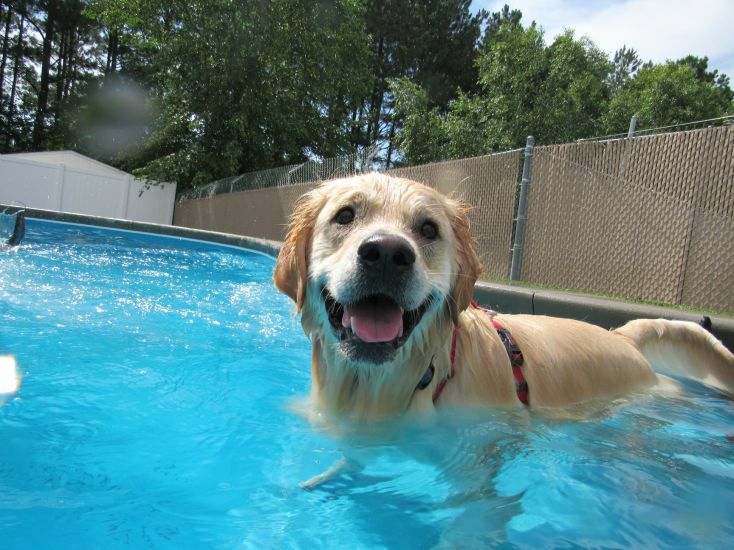 During Private Swim time, it is the owner's responsibility to supervise their dog(s). What should I bring to the swim session? : You, your dog(s), vaccination records, liability waiver and completed client form if you haven’t already sent these in. Please read the Pool Rules & Policies form before arriving. 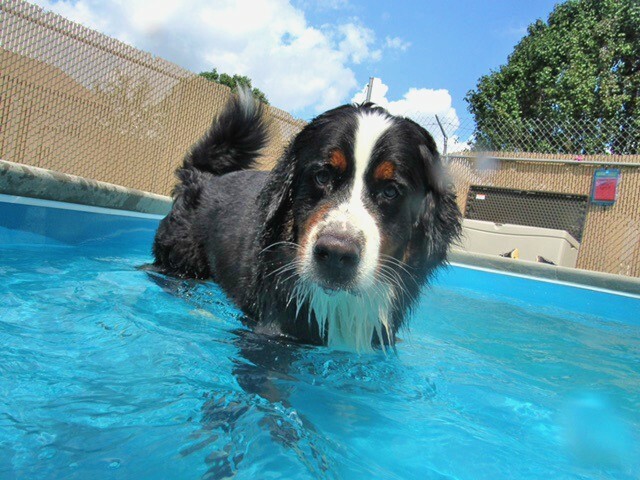 Registration forms and waiver must be completed and on file before your dog can swim. Please arrive at least 5 minutes prior to your appointment time to give your dog time to use the bathroom and start your session on time. This is a must! 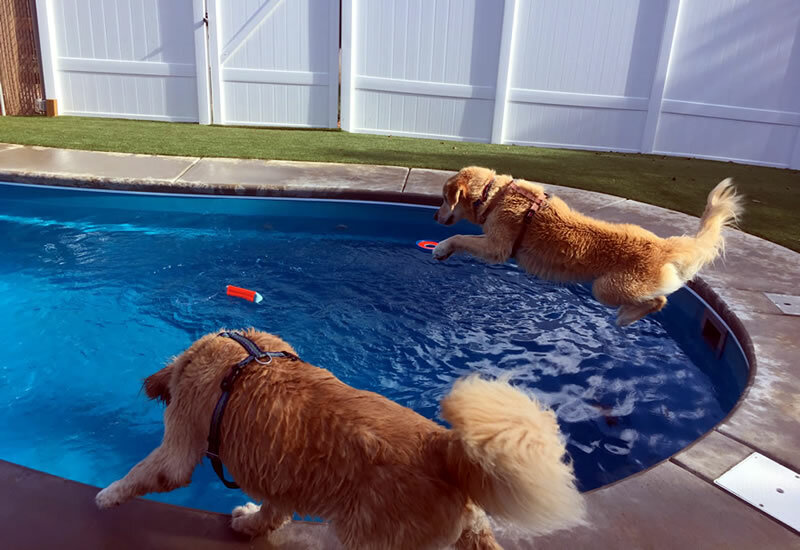 We provide a pooper scooper and trash can in the pool area and there is a dog clean-up area with plastic bags in the front of the building. 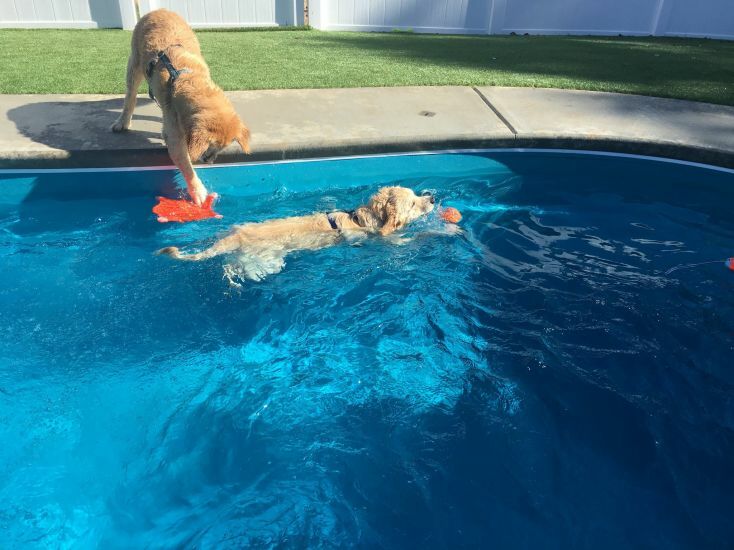 We have floating toys for your dog to play with. 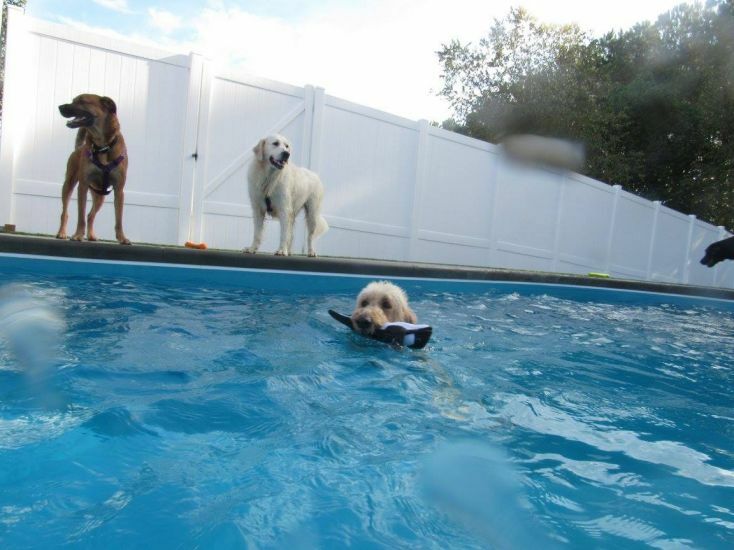 However, if your dog has a favorite floating toy, please feel free to bring it. We also provide towels to dry your dog off after the swim. Please use no more than 2 towels per dog and place in the dirty towel hamper as you leave. 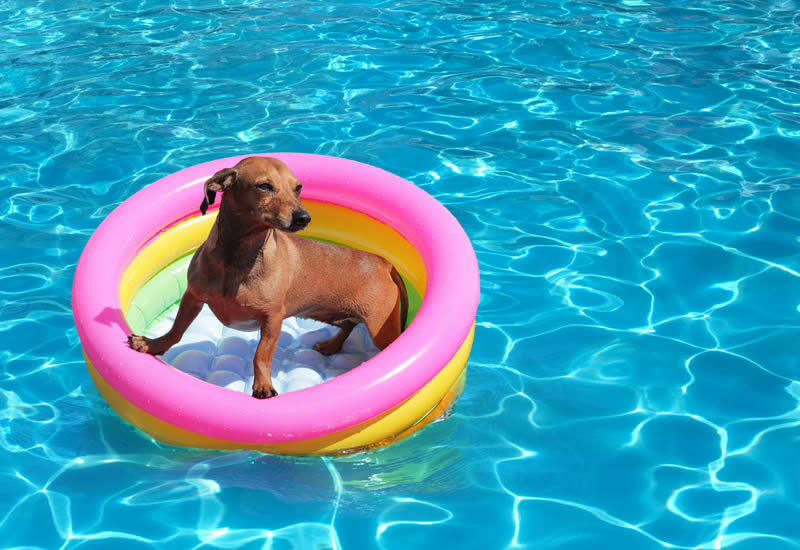 You may want to bring extra towels for you and your dog for the ride home. 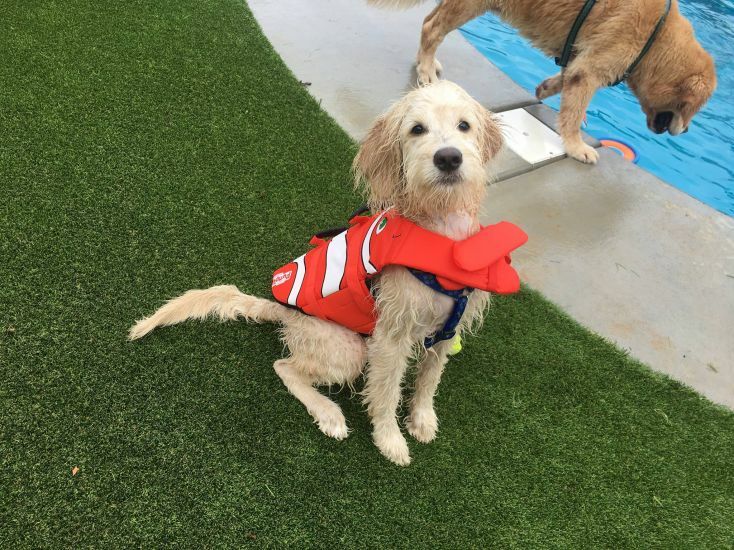 Does my dog need to wear a life-jacket? 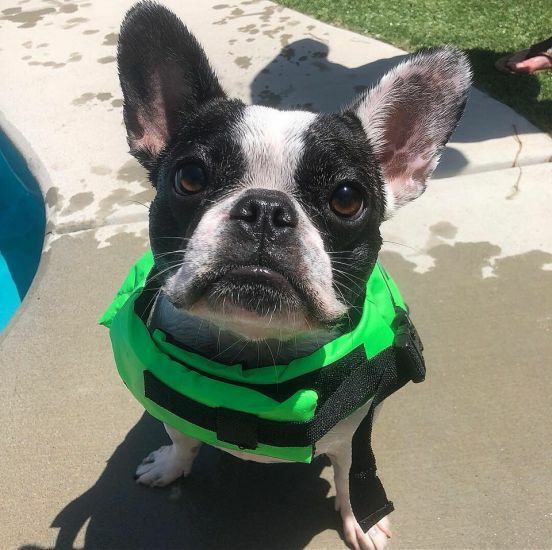 : We provide life-jackets free of charge. We have all sizes available from extra small to extra-large. We take your dog's safety very seriously. 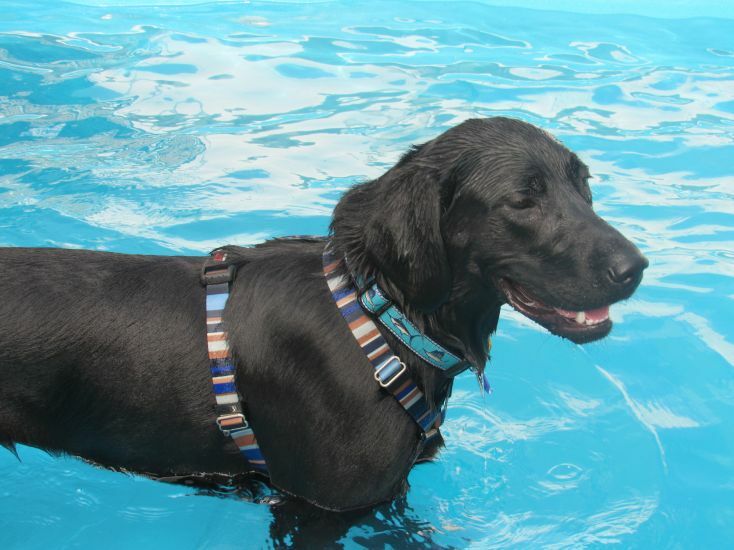 Unless your dog is comfortable with swimming, all first-time swimmers are required to wear a life jacket. This will be verified in the swim evaluation. 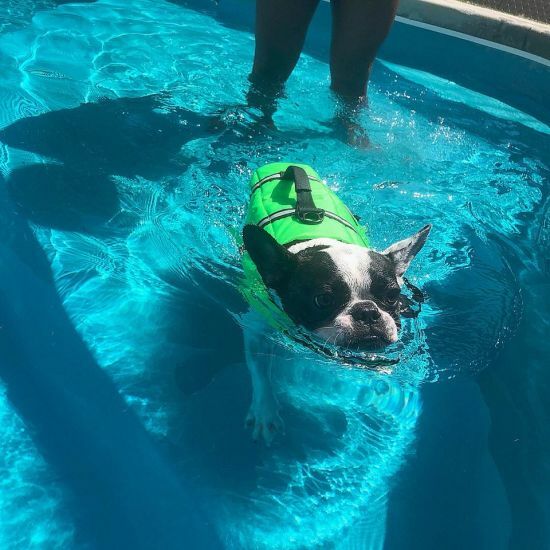 There is an evaluation which includes a one-time fee of $20 to verify that your dog can swim without a life-jacket. Second dog in the same family is $10. 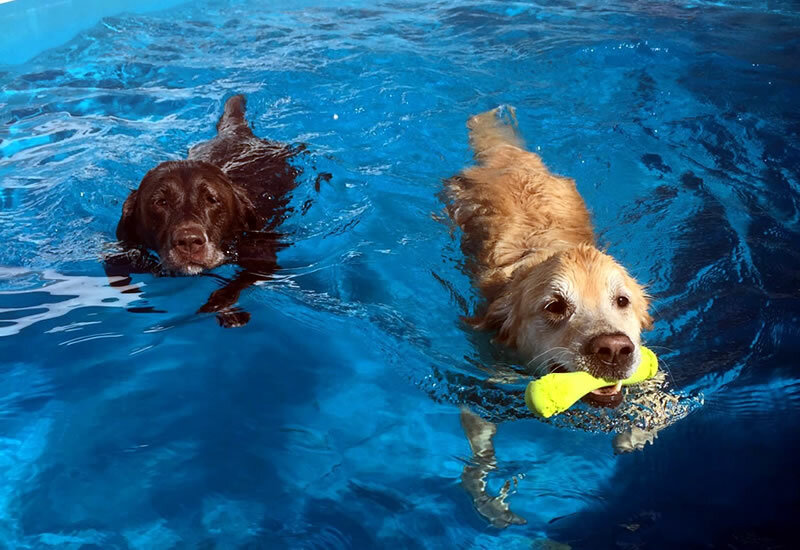 Dogs that have Daycare Evaluation and Swim Evaluation done on the same day will only be charged one evaluation fee of $20.There is no lifeguard on duty during private swim time. It is the owner's responsibility to supervise their dog(s). A 24-hour cancellation notice is appreciated for scheduled appointments. 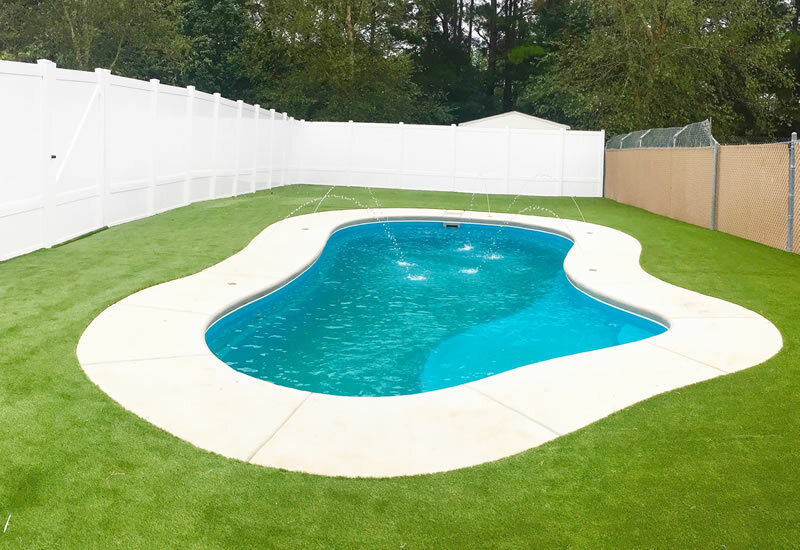 Brand new K9 Turf around pool to keep dogs and pool clean! 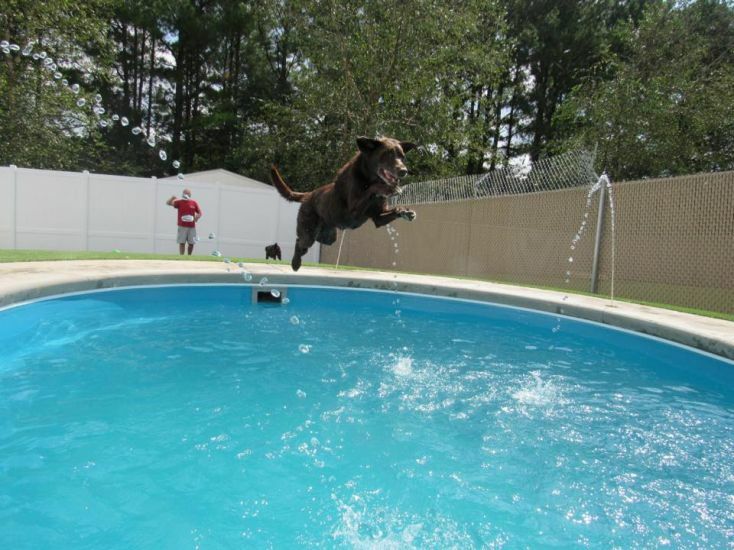 5 fountain sprinklers around pool are fun for dogs to play in! Island Swim Club Video - See the Fun! 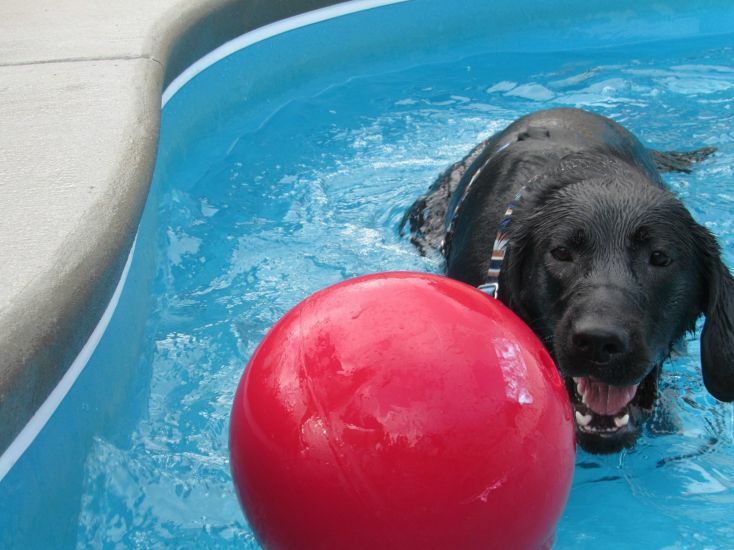 Your dog will love the Swimming Pool at Bone Voyage Pet Resort!